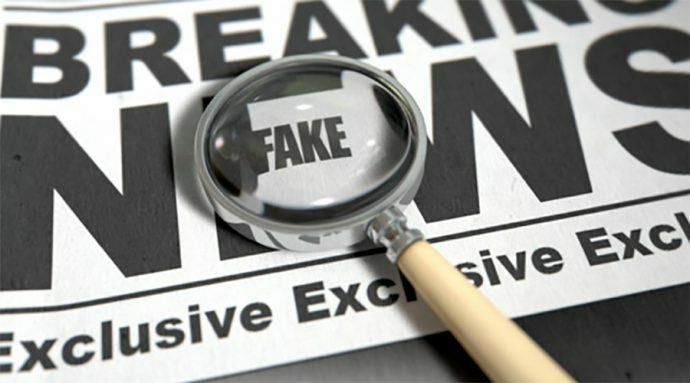 WHERE DID TRUTH & INVESTIVATIVE REPORTING GO? “If you’re over 40, the mere mention of the name Joyce Mayne is enough to send shudders through your body. So it is with some trepidation we report a new discount furniture business is looking to reprise the worst of the 80s and 90s advertising to launch its brand. Sando’s Warehouse today released the first of a series of ‘New Retro’ TVCs as part of a promotional strategy designed to appeal to the super discount furniture market. Do ‘em a Deal! was inspired by the early work of adman John Singleton, whose working-class appeal drove legions of bargain hunters into retail stores in the 80’s and 90’s Sando’s Warehouse has a vision to furnish thousands of future generations of ordinary families with a slice of the Aussie dream at bargain prices and are committing to negotiate on every one of their already heavily discounted prices in-store. Move over Joyce Mayne, there’s a new package deal Queen in town”. “Sando doing deals on your ABC in March”. “Wednesday, February 21, 2018 — Australia’s discount furniture queen Sando is coming to ABC and iview, Wednesday 21 March at 9pm. The six-part family comedy series Sando, from the team at Jungle Entertainment (Squinters, No Activity) will have audiences shouting “Do em’ a deal Sando!” right across Australia”. “Starring Sacha Horler (The Letdown, The Dressmaker) as Victoria ‘Sando’ Sandringham, the terrific ensemble cast also includes Firass Dirani (House Husbands), Phil Lloyd (The Moodys), Rob Carlton (Paper Giants), Krew Boylan (Schapelle), Adele Vuko (of online comedy sensations Skitbox), Uli Latukefu and newcomer Dylan Hesp”. 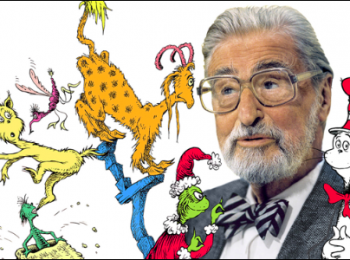 This led me to think of the bigger picture. Not that we want to throw our colleagues from B&T under the on coming bus, but it would seem that the obsessed, ravanious media was duped again. Ever keen for a headline at any cost does, it does little or no real investigative research into the facts before bursting into print. This weekend it was the Sydney Morning Herald turn. 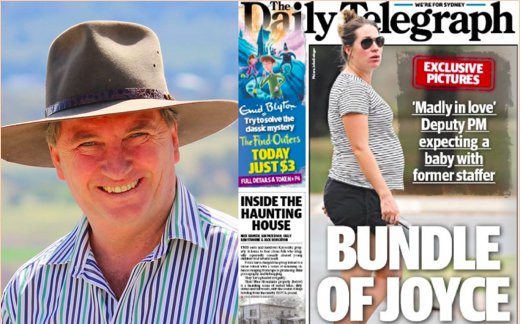 ‘A GREY AREA’: BARNABY JOYCE RAISES DOUBTS OVER WHETHER HE’S THE BIOLOGICAL FATHER OF VIKKI CAMPION’S BABY. 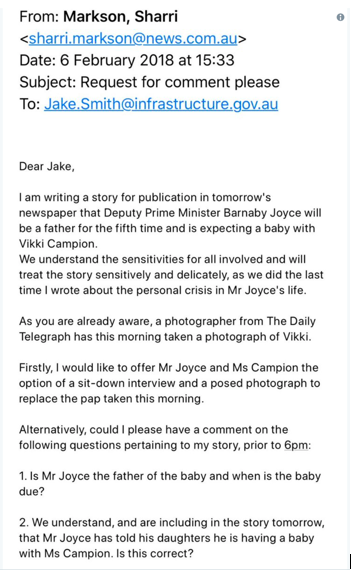 He (Joyce) claims he was not asked whether the child was his before Ms Campion’s pregnancy was revealed to the Australian public on the front cover of The Daily Telegraph, eventually resulting in his resignation from Cabinet. In an extraordinary interview, the former deputy prime minister told Fairfax Media he and his one-time staffer, 33, had been physically apart for almost all of the “critical period” when the child was conceived and said journalists who outed his affair with Ms Campion never checked whether the baby boy, due in April, was actually his. The original author of the article, the rapacious Sharri Markson tweeted in her defence, an email that allegedly shows the paper did ask him this before publishing the story. The problem of course Ms Markson is the alleged email was addressed to a Mr. Jake Smith not Mr Joyce. Her email was sent at 3.30pm demanding he (Joyce) respond by 6pm. Certain questions must be asked. Did Smith pass on the email (if he did received it) on to Mr. Joyce? Was he (Joyce) available to comment on it? Was this a reasonable amount of time to expect a comment on what turned out to be a national scandal? Further to the demands and offers in the said email. When might Mr Joyce and Ms’ Champion have had time to sit down with Markson and chew the fat about whole sad affair? They were given just 2.5 hours to respond, get dolled up, and have a loving pic taken to replace the paparazzi one the paper ran the next day. The problem is she didn’t directly ask Joyce. Why not? She emailed Jake Smith. Is this good enough? She did not in her email mention his wife as she claims in her justification posting. In her post, she spoke only of his daughters. Is the truth that Markson, so consumed by the prospect of the “great scoop” and professional notoriety, ignored professional obligations or human dignity? 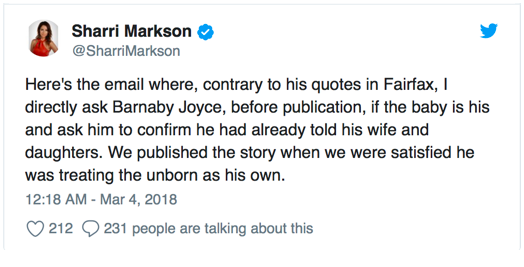 Was she and her Editor (given they had no official response before the headline was published) justified in believing that had reasonable grounds to be satisfied that the unborn child was in fact Joyce’s. Or were they simply muckraking in a sensationalised effort to sell more of their newspapers. Is this what now constitutes professional integrity? I some how doubt it. Ms Markson claims to be appalled at the gender basis issue writing in her column in the Daily Telegraph March 2nd. A YOUNG female ­adviser for the Turnbull government has spoken of her trauma at being at the centre of a Canberra whisper campaign claiming she is having an affair with a minister. The accusations come amid an outbreak of nasty political rumour-mongering that has ­engulfed Parliament in the wake of the Barnaby Joyce affair and this week boiled over in several fiery clashes between the Liberal and Labor parties. There is a real danger in the current climate that if a male minister has to choose between hiring a female ­adviser and a male of similar qualifications, you can bet he’ll choose the bloke. And why wouldn’t he? It’s the safer option that could not possibly lend itself to innuendo or rumour. The choice would be even simpler for him if the woman is attractive, ­unmarried or young. Even before Michaelia Cash’s sexist outburst in Senate Estimates, some male politicians, both Labor and Liberal, were reluctant to be seen alone with a woman — be it their adviser or a journalist — lest rumours arise from the sighting that could be used by ­opponents to smear the politician or destroy his career. Ms Markson, I am sorry to say you are part of the problem. It is reporting like this that is creating this sad and hideously toxic environment you so bitterly complain of. Look at the Joyce saga, which you kicked off. The lives and careers that have been affected. We live in a sad and sorry World, fully of hypocrisy and double standards. May be it time to put the Media as a whole on trial, and hold them to account. They seem to have little or no conscience in doing it to others. WE SHOULD BE HONOURING OUR VISIONARIES.